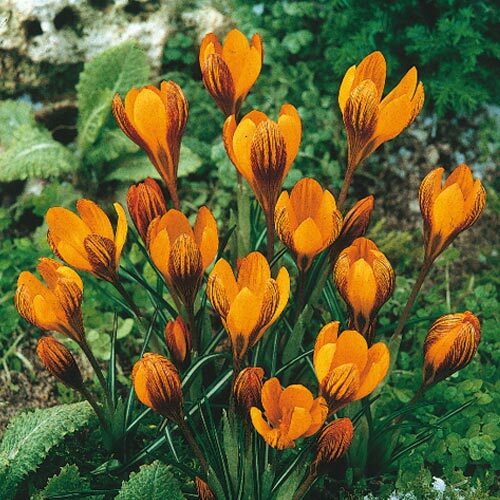 The only true orange crocus. Species Crocus sell well as a complement to the Giant Crocus. Terrific colors, hardiness, and bunch-flowering habit make them irresistible to gardeners. They multiply rapidly and bloom earlier to extend the Crocus season. 2 - 3" deep and 3 - 4" apart.